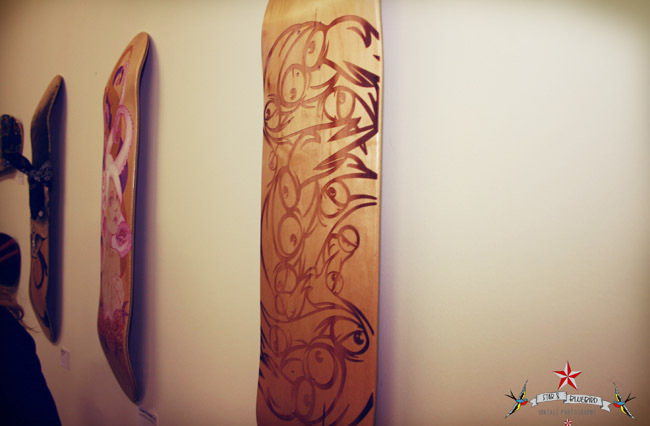 I recently contributed a skateboard deck to PipeUp, an international skateboard exhibition in Adelaide curated by Lisa King of Paperhorse Studios in Rundle Mall. 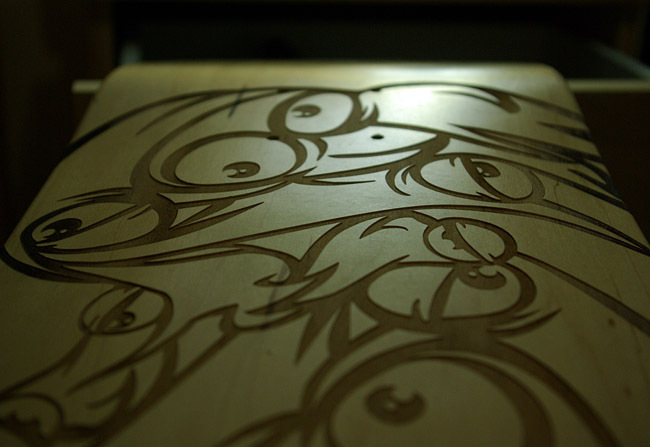 I wanted to do something a little different, so I investigated the options for laser-etching the base of the deck. I found KP Sales in Thebarton, a sign-making business, who were able to etch the deck for a reasonable fee. Since the deck is concave, their machine didn’t work perfectly, but the deck ended up with a smooth gradient due to the distance between the wood and the laser. I think it adds to the piece, and I’m very happy with how it turned out. 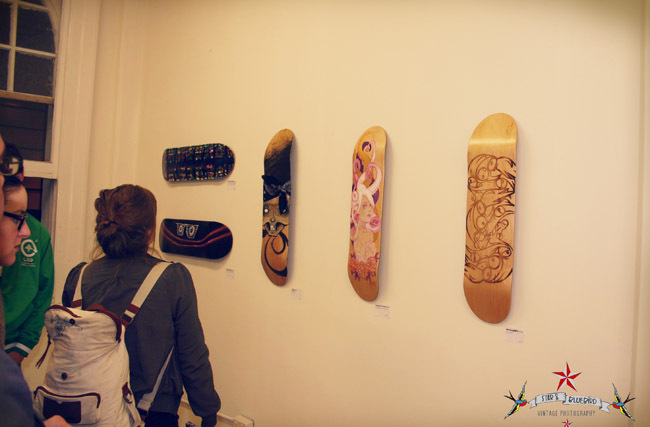 I’ve included images of the deck and a couple of pictures from the exhibition below. Check them out and let me know what you think! I haven’t heard that it’s been sold yet, so if you’re interested in buying it, just send me an email. It’s priced at AU$250.